Bryan & Erin & Hunter — Travelling through Life! I got the panel mounted tonight. 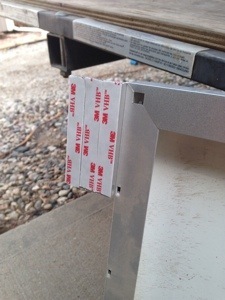 3M VHB tape and some angle iron. Seems to hold well! The hardware is #10 stainless self-drilling screws with star washers from a local hardware store. I did add some 5200 around the connector once plugged in to help hold it down. I wasn’t confident that it would stay plugged in, or that the cord would seal well to the boot. 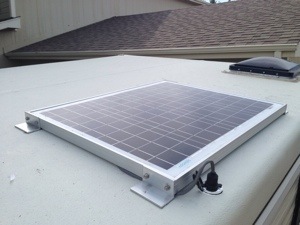 I’ve been wanting to permanently mount a solar panel on the roof of our truck camper since installing the Truckfridge TF49 compressor type refrigerator. 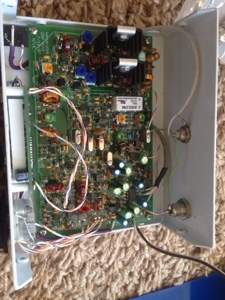 Routing the wires in was the biggest obstacle. Through a few internet searches, I decided on a marine bulkhead. I used 3M 5200 to seal this little guy to the roof, then routed the wiring through the tent and cabinets and down to the battery. If it does ever leak, at least it will be in an area outside the tent. 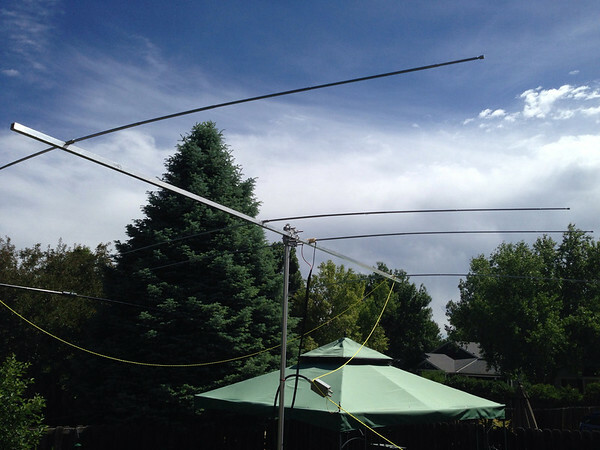 Last year for Field Day I built a 6 meter, 4-element Yagi-Uda antenna for the W5YA team. 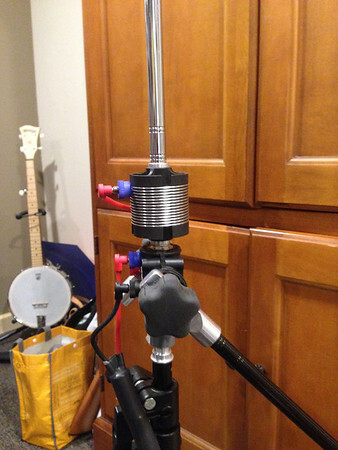 I never tried to match the antenna for 50Ω, and it compared poorly to Doc’s Hex Beam antenna. 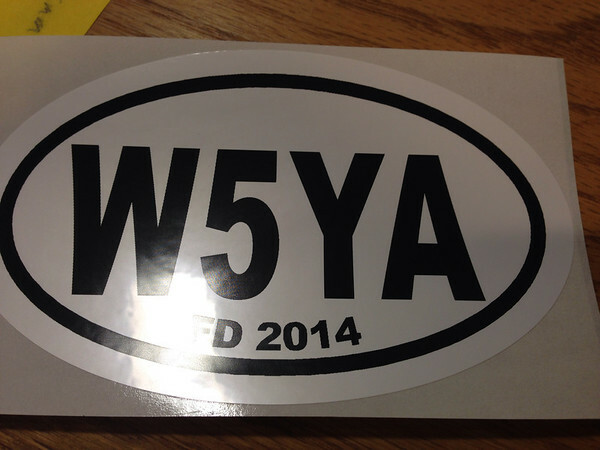 This weekend, in anticipation of FD 2014, I decided to finally try and match the antenna. I tried several designs. 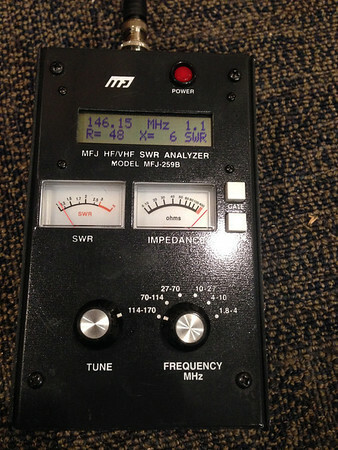 My initial try was a hairpin match, which brought the 100Ω impedance up to 200Ω. 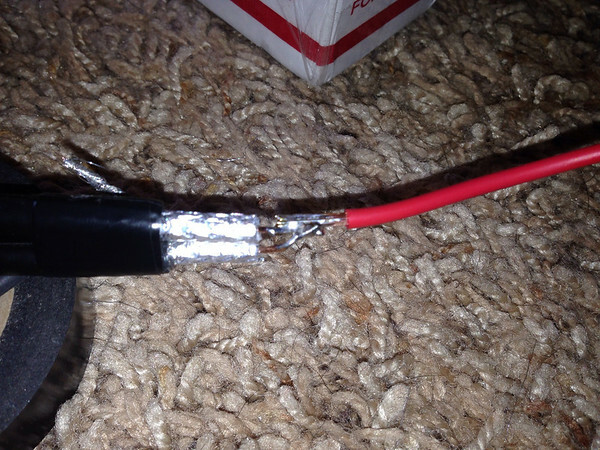 Then, I tried a 75Ω, 1/2 wavelength coax transformer as a 4:1 Balun. I played with this a lot, but could not get it to match well enough. Today I tried a parallel 75Ω match based on this page. Based on my Yagi dimensions, this showed a resonant frequency around 48 MHz. 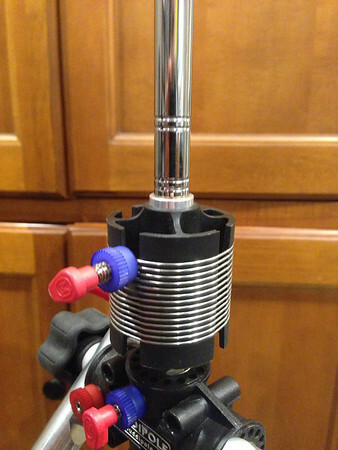 I shortened my driven element whips about 2″ and brought the antenna to a perfect (enough) match! 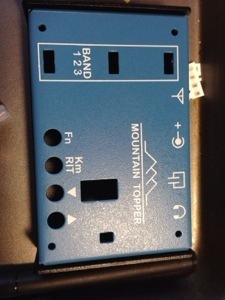 I’ve been slowly building up my Steve Weber Mountain Top Radio version 2 kit over the past week. 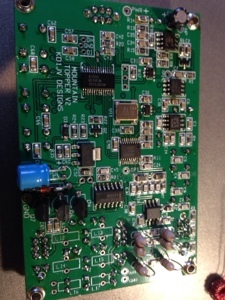 For the SMT parts I chose to try reflow soldering in a toaster oven, and I’m glad I did it that way. 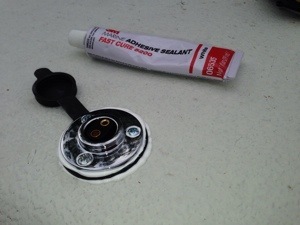 I used solder paste in a syringe from Cash Olsen as recommended by Steve. 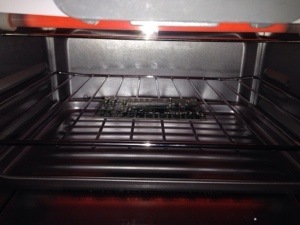 For the oven I used an unmodified $20 Rival oven from Walmart set to 420F and simply watched for the paste to become glossy solder. Once the SMT parts were in place, it was easy to finish the standard through hole parts. 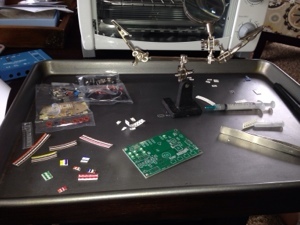 Right now I’m in the process of winding the toroids and soldering them down. I’ll update this again once all parts are down and I begin with adjustments and testing. Sunday Erin, Oscar and I headed up the Poudre River Canyon to hike Greyrock Mountain, which might be the most popular trail in the area, or at least second to Horsetooth Mountain. 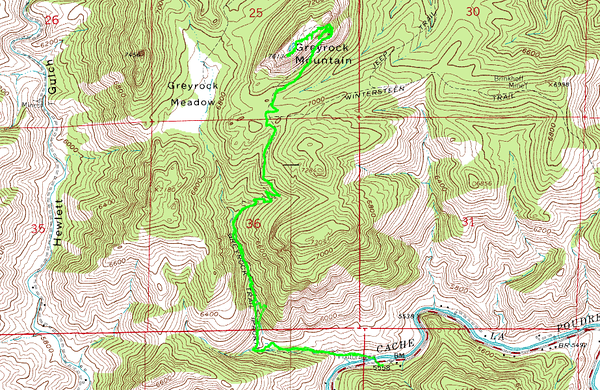 We hit the trail head at 8am to beat the hordes of hikers, and had the trail to ourselves all the way to the summit. 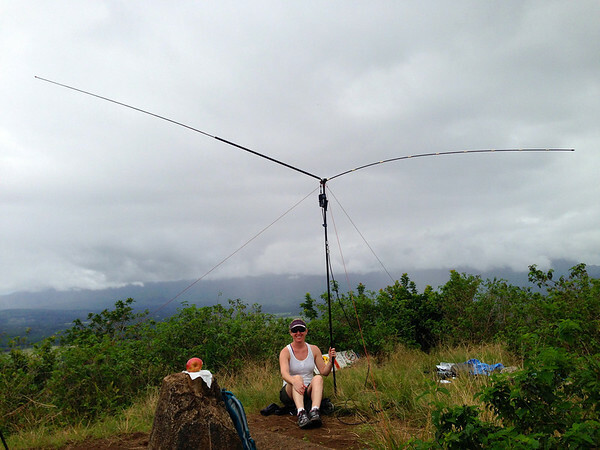 I’ve been working with Ron WT5RZ and CW Academy since the beginning of January, and this was my first SOTA activation using CW. I had alerted the night before, and after my 3rd CQ, I was immediately inundated with a huge pileup, that sounded like an arcade game! I had no idea what was being sent, and had to wait until the end of the pileup and grasp for a couple of letters. 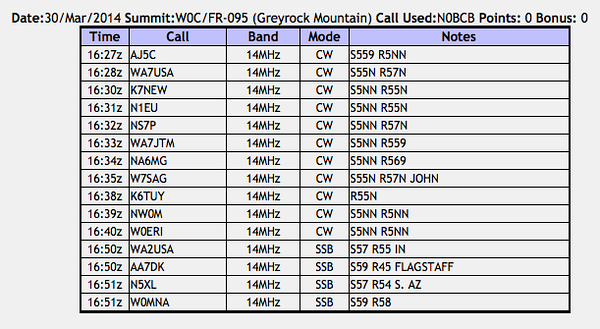 Fortunately, I know many of the callsigns from SSB activations, and was usually able to pick a callsign out. After 11 CW stations worked, my mind was getting frazzled and I wasn’t able to take any more of it. Sorry to all the chasers who I didn’t work. I could still hear some waiting for me, but I just couldn’t do any more. Erin and Oscar were patiently waiting for me so we could start our decent. Hopefully after a little more practice I will not need to leave anyone hanging like that. This is a great hike, app. 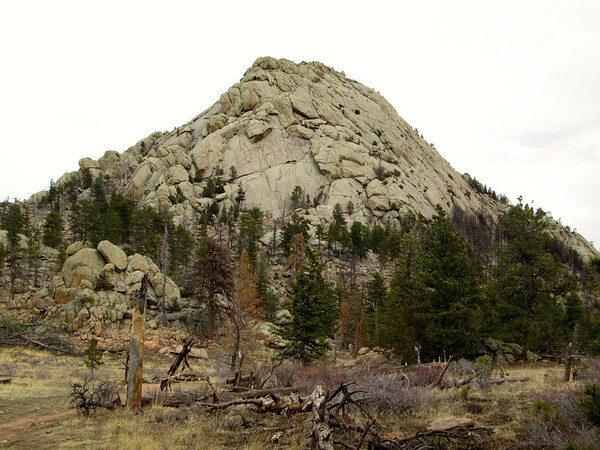 5 miles RT, and offers some great views of the Front Range. I highly recommend it if you haven’t done it yet! Additional photos from the hike can be found here. 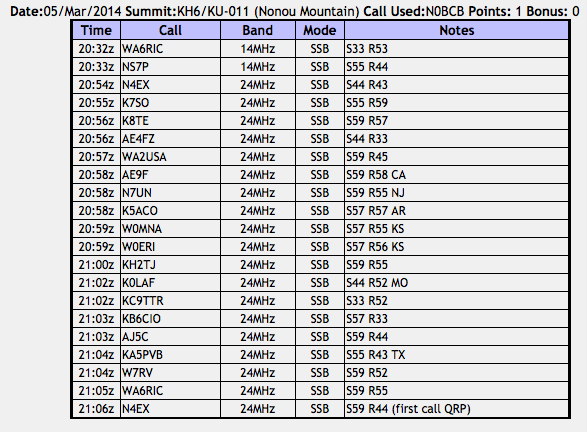 Today Erin and I activated the first KH6/KU SOTA summit! 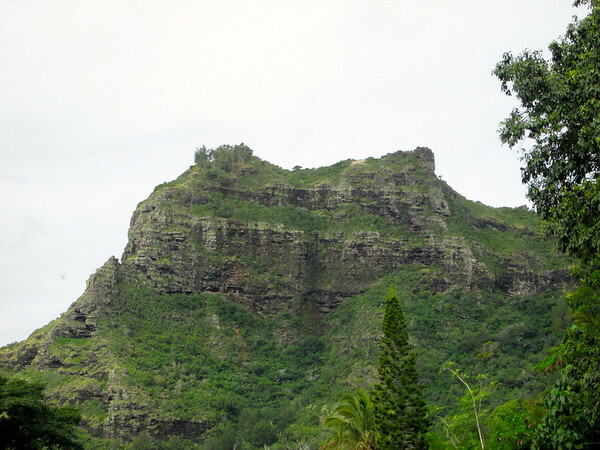 Nounou is a great little hike, and is much easier than the guide books led us to believe. It had rained the night before, but the trail was in great condition. 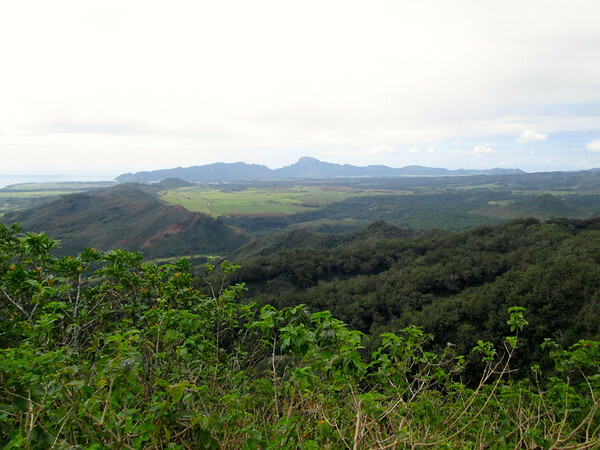 A view to the South towards Lihue, including 2 other SOTA summits. Here’s the 12m antenna, constructed from Buddipole parts. 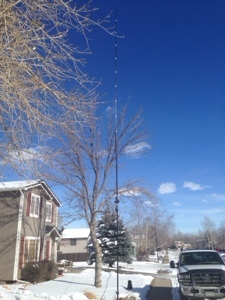 It is a full size 12m dipole, about 8′ above ground level. Too low normally, but fine on this summit with sharp drop offs all around. I started with 20m (2 contacts), then down to 17m and 15m with no luck. 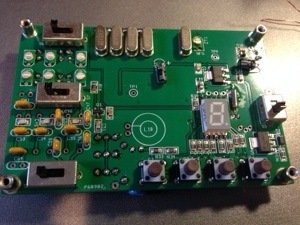 12m was the best I’ve seen it from a summit, and I was able to work the mainland from West coast to East coast running 5W from my Elecraft KX3. Buddipole finally released a mini version of their adjustable shockcord whip, and today I got to test it with Wayne KD0VPR and his recently finished Bit20X transceiver. We made one contact from CO to NH but conditions were tough with a contest going on. 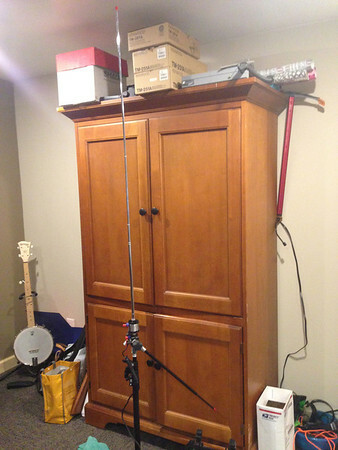 We had the Buddipole set up as a vertical, with 4 of the 11″ arms and the 9 section whip fully extended. We only needed 1.5 turns on the coil to make up for the slightly short 1/4 wave. Two opposing elevated radial wires were about 17′ each and dropped from the versatee at 8′ to about 2′ above ground at the ends. 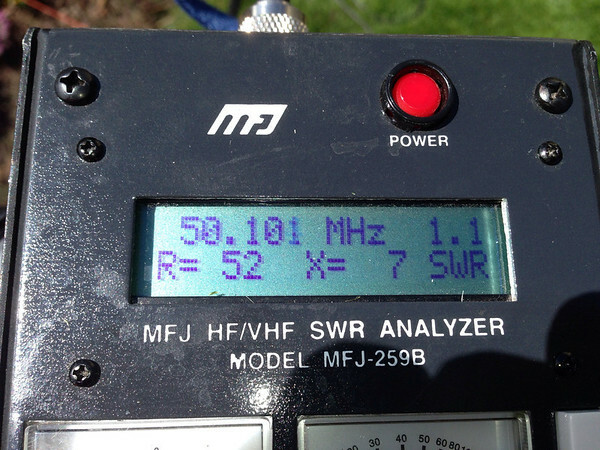 We made two more contacts, both to NH, from the same setup but 100w and an FT-450. For anyone considering an adjustable whip, I would recommend this over the longer version, unless you go up to the 32″ one. The pricing needs to be updated for the 24″ version as it costs more right now than the 11″ version! Ok, it took me a little while, but I finally have the feedburner plugin activated and working. Feel free to subscribe using the link in the sidebar. 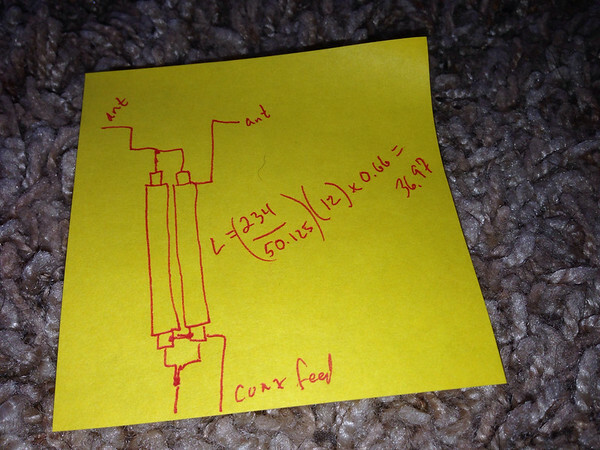 I’ve been doing some searches for a 2 meter, 5/8 wave vertical using Buddipole parts, and so far I haven’t come up with one. So, I decided to figure it out on my own! 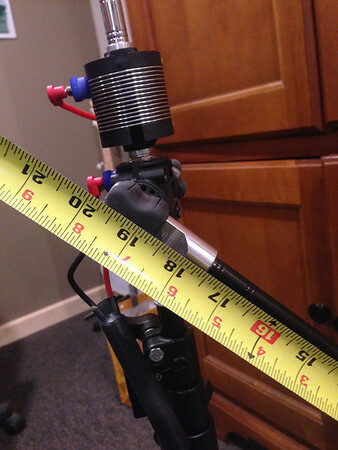 This is pretty easy to build if you have the Versatee and rotating arm kit. I only had 2 whips available, but with 3 and a jumper you could use 2 ground planes. A closeup of the Versatee. 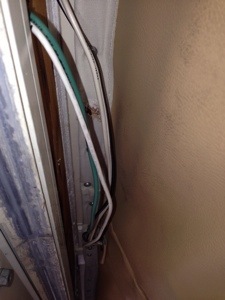 Connect the Red coax wire to the Blue Versatee connection. 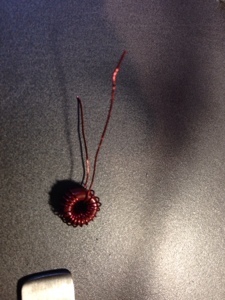 Connect the Black coax wire to the Black versatee connection. The Coil wander lead connects to the coil 1.5 turns in from the brass screw at the top of the Coil. 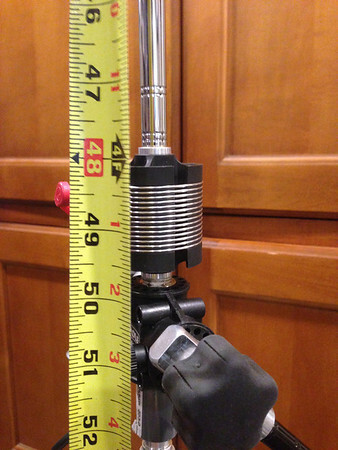 This should equate to ~ 0.15 uH of inductance. I captured this audio clip while drinking coffee with my Grandma Nancy and Grandpa Paul Bibeau on September 20, 2012 and thought other family members might enjoy it.